Refreshing, tasty and full of flavours! Hummus is perfect in any home these days. Of course in my home, it’s a must, especially for my daughter who loves it! It’s healthy, delicious, and it can be a meal or a snack. Hummus takes minutes to make and is easy to clean up afterwards. Just perfect for a party! 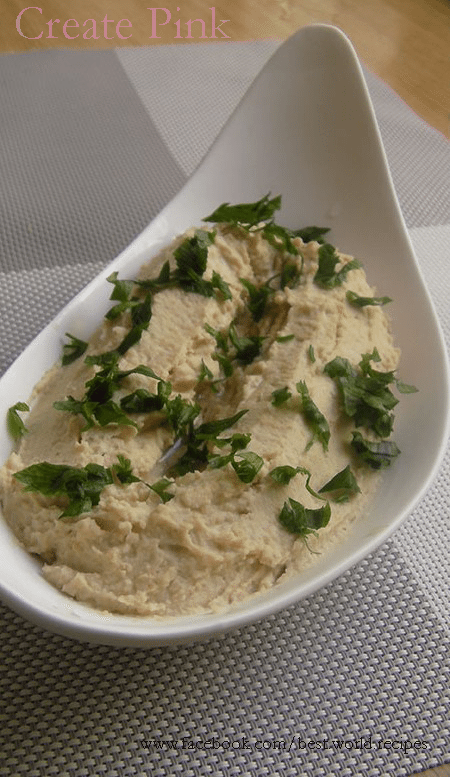 This is one of the simpler and perfect, delicious recipe that will satisfy the die-hard hummus fan or the last-minute host in search of a dip, and show off how easy (and cheap!) the perfect hummus can be. 1 can (15.5 ounces) of chickpeas, drained and reserve the liquid, 3 cloves garlic, minced, 4 tbs lemon juice, 1 1/2 tbs tahini, salt to taste, 2 tbs olive oil. Drain chickpeas and set aside the liquid from the can. Put chickpeas, about 1/4 cup of the reserved liquid, olive oil, lemon juice, garlic, salt, and tahini into the blender. Blend on a low setting until smooth. If you want it smoother add a little more liquid (either lemon juice or chickpea liquid). 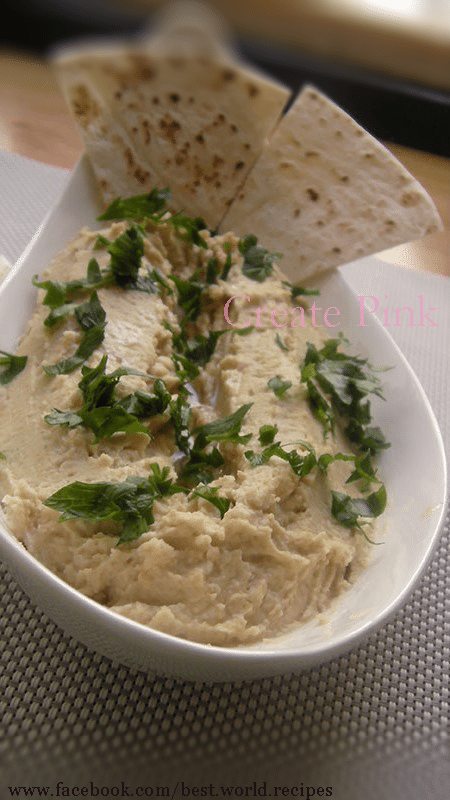 Other ways to thin out hummus is by using warm water or olive oil also. Taste and adjust seasoning with lemon juice and salt. Put it in a serving plate or bowl and drizzle some olive oil. Garnish with parsley. Other garnish ideas paprika or olives. Serve with veggies or your favourite pita bread.